The Litchfield Hills Aero Club, LLC is based at Whelan Farms Airport, CT01 in Bethlehem CT. We have an active membership that includes commercial, private pilots, retrieve crews and social members. Over the years the club has organized many flying and social events and looking to expand our membership base and introduce more people to the wonderful world of ballooning. 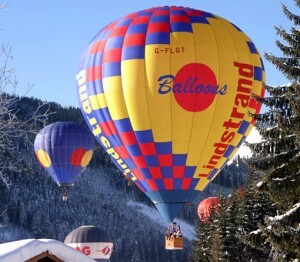 Many people see balloons flying and it seems like an unreachable activity. Nothing could be further from the truth. Even for a pilot it is not really any more expensive than any other hobby but you can get into ballooning at virtually no cost by crewing. Pilots always need a team of enthusiastic crew of almost any age. Regular crew can be sure of being offered opportunities to fly in the balloon and it is a sport that can take you all over the world. Make it known at a meeting that you are interested in crewing and you will be fighting off the offers! Ballooning is an extremely sociable activity as crews typically involve three or four people and morning flights often end up in the local “greasy spoon” for breakfast. 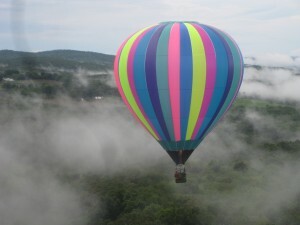 The Litchfield Hills Aero Club welcomes anyone with an interest in ballooning to join the club. There are two levels of membership available depending on your involvement in the club. 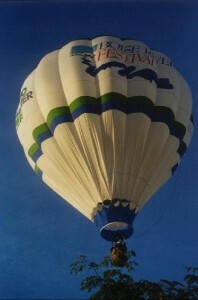 Social Membership is the basic membership for those who do not wish to use the Club balloon. Each member receives a copy of our monthly newsletter the Q-Vent full of news, stories and details of ballooning events around the country and abroad. We also offer a Flying Membership with equity ownership in the club balloon for an additional fee which includes, 10 hours of flight instruction with one of the clubs flight instructors. The flying membership allows members to learn how to fly and earn their private pilot’s license. Once you earned your pilot certificate you are able schedule time and fly the club balloon. If you have a powered aircraft rating — NO written exam required. If you no powered aircraft rating — You will need to pass a written exam. 10 hours total over a minimum of 6 instructional flights including a solo flight. One flight to 3000′ AGL. 2 training flights of on hour minimum. 35 total flight hours — 20 hours in balloons — 10 balloon flights. 10 hours of flight training that includes at least 10 flights. One flight to 3000′ AGL. 2 training flights of one hour minimum. For either rating — pass the appropriate practical (Flight) test. No medical certificate required for either rating. The Litchfield Hills Aero Club, LLC , is a not for profit, equity ownership flying club, that provides its members with affordable access to ballooning. The club is based at Whelan Farms Airport (CT01) and will be run by a board of directors elected by the membership, per club by-laws, which includes operating rules, members manual and flying schedule. We also welcome new members to join the team and have fun. Call or e-mail to learn more about The Litchfield Hills Aero Club, LLC or learning to fly lighter than air aviation!